The numerous families that eventually took the name Pickering appear to fall into two main groups: those who remained in and around the town of the same name and those who ventured further afield. It is likely that the second group was made up of a number of sub-groups, each based on a distinct family. 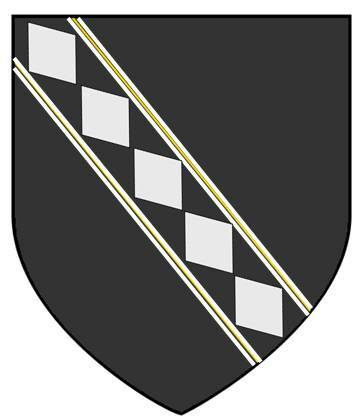 Sources indicate that the branch of the Anglo-Norman de Brus family that held land in Pickering in the 12th century is an example of one of these families, and it would appear that the younger brothers of the main line became known as “de Pickering” when they moved away from the town and settled in in other parts of the family’s vast holdings in Yorkshire and beyond. 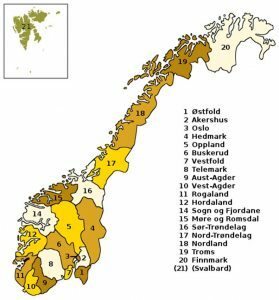 But the story begins in 9th century Norway, when Halfdan “the Black”, ruler of the southern county of Vestfold, managed to subdue a number of neighbouring petty rulers and bring their lands under his sway. His son Harald vowed to make himself the first king of a united Norway and succeeded in his quest with his victory at the battle Battle of Hafrsfjord in 885. His great friend Ragnvald, son of Øystein Ivarsson of Oppland, had helped him in his bid for supremecy and, following the battle, Harald made him Earl of Møre and later Romsdal. But the new king’s grip on power remained tenuous, as many of the rulers who had fled in the wake of the battle had taken up residence in the Orkney and Shetland islands and took to raiding Norway during the summer months. In order to eliminate this threat to his throne, Harald was obliged to invade the islands and, once conquered, he granted them to Ragnvald, in compensation for the loss of his eldest son who was killed during the campaign. But Ragnvald preferred to stay in Norway, so he gave the islands to his brother Sigurd. When Sigurd died the title of Earl of Orkney passed to Ragnvald’s eldest surviving son Einar, who took up residence on the islands. Over the years the earls’ dominions expanded onto mainland Scotland into the counties later known as Caithness, Sutherland, Ross and Moray. A number of British historians claim that the Norman family that took the name de Brus are direct descendants of the Earls of Orkney. However, this theory has been discredited owing to lack of documentary evidence and a break in the chronological sequence. Others claim that the family were latecomers to Normandy, arriving via the British Isles with the second wave of Scadinavian settlers during the rule of Duke Richard II of Normandy (996–1026), so that its first known member, Robert de Brus, appears as lord of Brix shortly before the conquest of England by Duke William II. 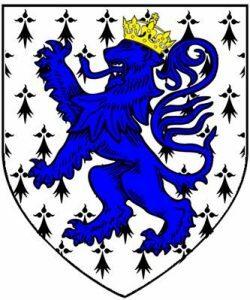 (William himself is claimed to be another descendant of Ragnvald Øysteinsson through the latter’s hot-headed son Rollo, the younger brother of Einar, who had been banished from Norway and, after many peregrinations, arrived in Normandy and founded the dynasty.) 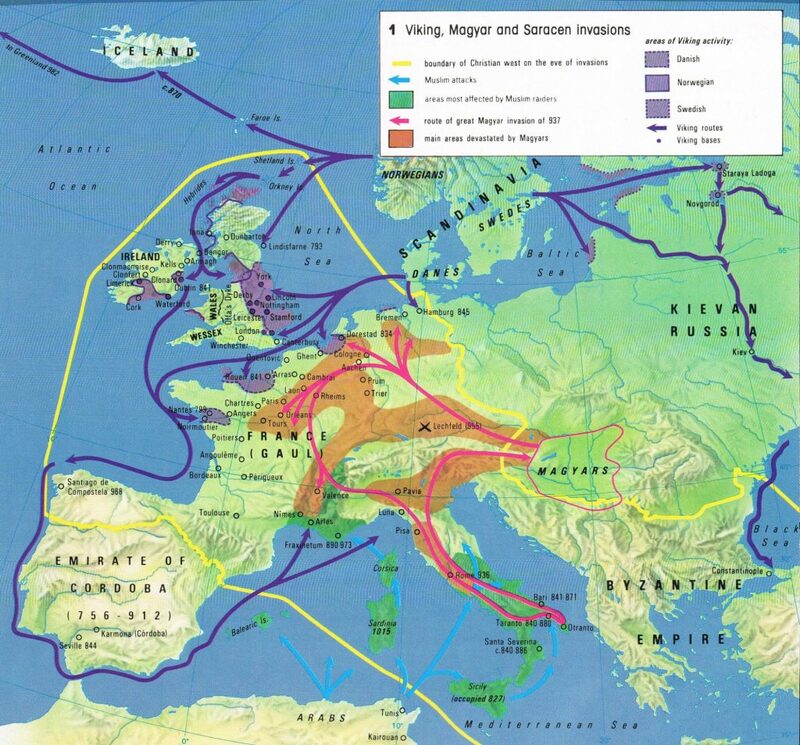 Another theory suggests that, in light of the high esteem in which Robert de Brus was held, the family was possibly related to Dukes of Normandy, thus cementing the link to Norway and the Orkney Islands. The forest of Brix was one of the most important in the ducal domain, the castle was said to be impregnable and the fact that the Brix fee made a higher return than Cherbourg and Valognes suggests that only a trusted man would be put in charge of it. It is therefore possible that, in the same way as the Pickerings in the years to come, the de Bruses were a junior offshoot of a more important family. The story of the Pickerings of Yorkshire begins in years following the Norman Conquest. As mentioned above, it seems likely that at least some of the families that bear the name Pickering emerged from the de Brus family which held lands in and around the town of that name. The “names William, Adam, Robert and Richard appear with as much regularity among the families of Pickering and Brus of Pickering as they do in the two main lines of the Bruses of Skelton and of Annandale”1. It is possible that William de Brus, the younger son of Adam I, gave rise to the Pickerings of Killington, through William de Pickering, who was brought by Peter III de Brus to serve on his estate in Kendale in the 13th century. 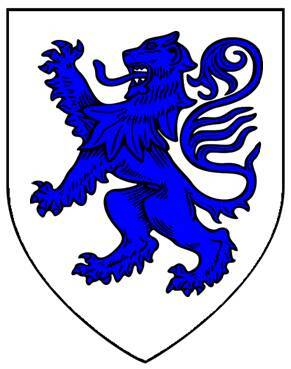 Furthermore, the arms of the Pickerings show a distinct similarity with those of the Yorkshire de Bruses, a lion rampant azure, the only differences being that the field is ermine and the lion is crowned or. 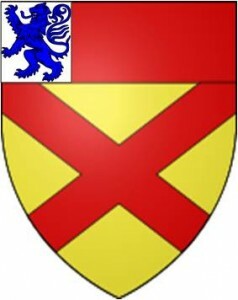 When the Skelton and Annandale branches went their separate ways, the latter de Bruses adopted as their arms a field or and a chief and saltire gules, though the later arms of the Bruce family of Scotland display both versions: those of Annandale with a Skelton canton. 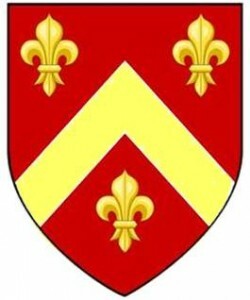 Though a member of the Skelton line, the effigy of Sir William de Brus of Pickering in Pickering church displays the arms of the Bruses of Annandale, differenced by a saltire engrailed and a chief indented (borne by Robert de Brus V), but it is said that the family used the arms of both branches. Another prominent Pickering family, which later became known as the Pickerings of Oswaldkirk, can be traced back to Thomas de Pickering. He was a contemporary and a possible kinsman of William de Brus, the younger son of Adam I (see above). The Pickerings of Oswaldkirk and the de Bruses of Pickering maintained close ties through their holdings in Barton(-le-Willows) and shared the same arms (lion rampant azure) until at least Richard de Pickering. Richard married Joan de Barton before 1316, who brought to the marriage lands in Oswaldkirk and Ampleforth, where the de Bruses of Pickering were also landholders. Oswaldkirk was to remain in the family until 1441 when Sir Richard Pickering made a settlement of it. A third family bearing a name derived from Pickering was the Puckerings of Flamborough. This family rose to prominence in the 16th century, at which time they appear to have adopted the alternative spelling of the name. (The main line retained the name Puckering, as did some of the junior branches, but some (e.g. the Pickerings of Holderness) alternated between the two different spellings until each sub-branch decided on one or the other.) The Flamborough Puckerings had moved out of Pickering by the end of the 13th century were to be found in various places in Holderness before settling in the Flamborough area towards the end of the 15th century. 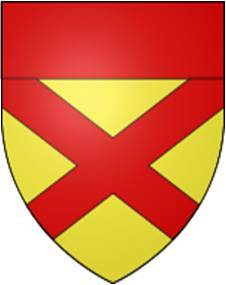 I have not established a link with the other two Pickering families, and their arms bear no resemblance to those of the de Bruses or the Pickerings of Killington and Oswaldkirk. 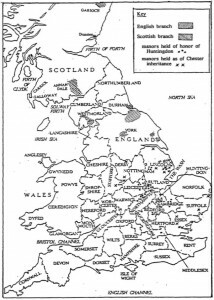 Among British surnames, there were two families whose surnames spread at an early period far beyond the location which gave rise to them. One of them is Pickering/Puckering, “which was already to be found in most parts of England by about 1400”2. (It even turns up in Calais in the 15th century.) The only source for the name seems to be the small town of Pickering, already an administrative centre owing to the importance of its castle and forest, but not renowned as a commercial hub, so it is unlikely that trading connections were responsible for the widespread dispersal of the name. This was the result of complex moves by a number of distinct families, rather than a single family, over different periods. 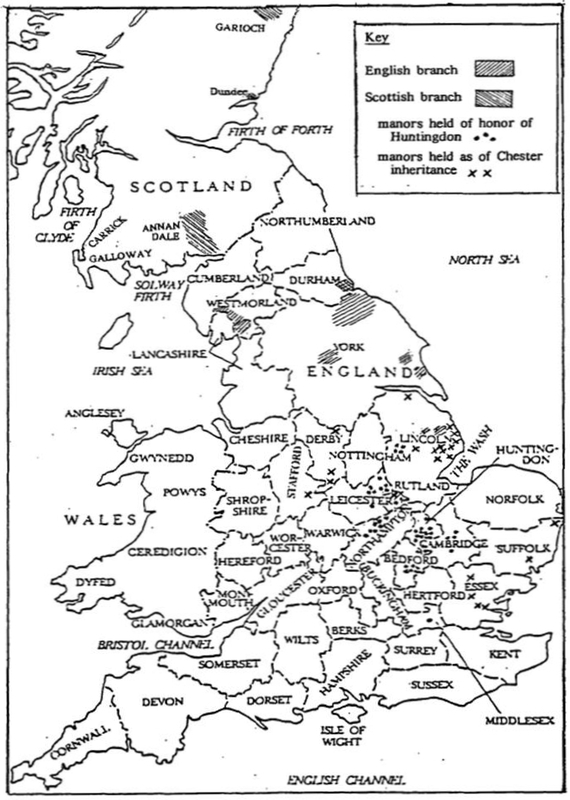 Roger de Pickering, for example, was a successful merchant in Leicester early in the 14th century, having possibly migrated there for purposes of trade, but there is another more likely explanation for the spread of the name based on the feudal lordship. If, as I believe, at least some of the Pickerings are the Brus family abroad, this would account for the dispersal of the Pickering name in the areas where the de Bruses had holdings, not only in the North, but also in further flung parts of the country, though in particular the East Midlands. 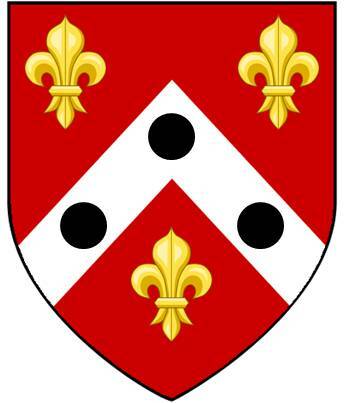 Furthermore, the de Bruses “maintained a clear policy of ensuring that younger sons remained subordinate to the senior line, supporting it as tenants, clerics or administrators, in order to preserve the unity and power of the lordship”1. It was no doubt to take up a tenancy that brought John Pickering from Westmorland to Northamptonshire in the late 15th century. In Higham Ferrers, about 10 km from Titchmarsh, John Leland “saw in the paroche chirch an old tumbe with an image in the quire waulle. Sum think that it was one of the Breusis, for Brewsis wer ons [ow]ners of that manor”3. Further circumstantial evidence is provided by the marriage of Joan (c1341-1421), daughter of John de Brus, lord of nearby Conington and Exton (of the Annandale line) to Sir Nicholas Greene, Stewart of Higham Ferrers and Glatton. Circumstantial evidence also suggests that Pickerings of Barlby are an offshoot of the Oswaldkirk branch, one of their number establishing a line in Worcestershire in the late 17th century. By the 16th century the Puckerings of Flamborough were established in Warwickshire and Sir William Pickering of Oswaldkirk was a favourite at the court of Queen Elizabeth I. 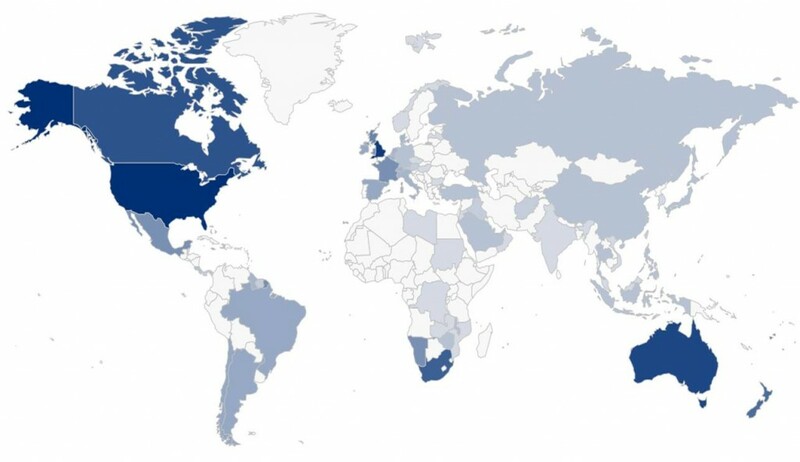 Though Pickerings were already well established in the West Riding and Lancashire, the name undoubtedly became more widespread as a result of the industrial revolution, and it was the opening up of North America, the Antipodes and South Africa that took it beyond the shores of Britain. Added to this is the incontestable fact that the Pickerings were prolific and my own observations suggest that many of those who survived childhood lived long lives.